There&apos;s lots to see and do in our city in 2015. Here&apos;s the scoop on dining hotspots, outdoor rec, trendy tours and fabulous art that have just taken place and are the spots to see and be scene in the next twelve months! The Great Outdoors Head to the recently opened Ann and Roy Butler Hike-and-Bike Trail and Boardwalk at Lady Bird Lake. 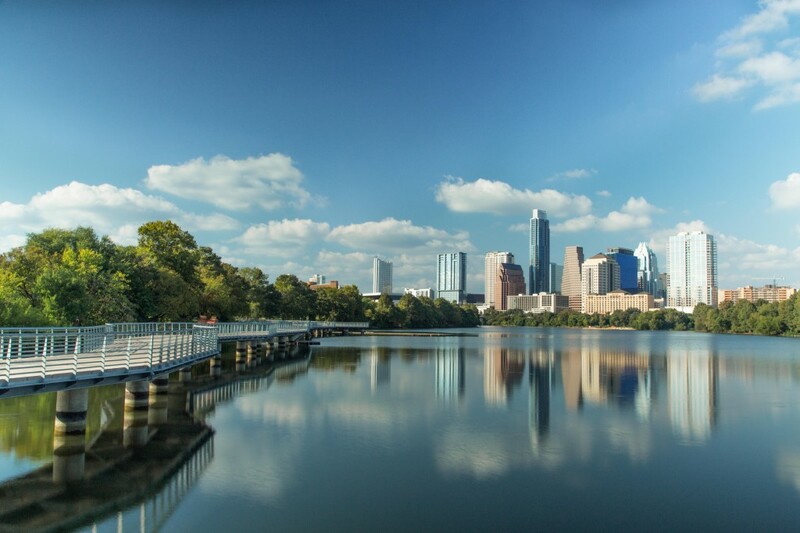 After 18 months of construction, this 10-mile trail is open, offering spectacular waterfront views of Lady Bird Lake, cultural attractions and the towering skyscrapers of Austin&apos;s urban skyline. Learn more about the trail and Boardwalk here. Dining Hotspots You don&apos;t have to look far for amazing restaurants in Austin, but for a sneak peek at what&apos;s next on the menu, keep an eye out for these upcoming hotspots. For down home cookin&apos; served family-style, pull up a seat at Jacoby&apos;s Restaurant & Mercantile, or get your own entree with the modern interpretations of Southern classics at Olamaie. Wu Chow will be serving up Chinese classics, Juniper (an East Side spot by the Uchi team) will offer artisan Italian dishes, and for a taste of retro revisited, swing by Taco Flats, a taco joint inspired by an Austin Mexican restaurant that had its heyday in the 1970s. Trendy Tours From guided historic walking tours to cruises, there are plenty of tours in Austin to suit a variety of styles. For a handcrafted, themed tour, book a trip with Austin Detours, and you could explore everything from Austin&apos;s best BBQ and beer to the hottest music venues. Audiophiles will love an Austin City Limits Studio Tour, where they&apos;ll get a behind-the-scenes look at the home of the "Austin City Limits" TV show. If exploring on your own is more your speed (but you still want to know the best spots), try a tour by Double Decker Austin. This historic double decker bus will show you all the top sightseeing locations, and then you can hop off the bus to explore downtown&apos;s districts. Notable Nightlife Kitsch comes standard at The Highball, but what else would you expect from a karaoke, Bingo and cocktail joint? There&apos;s even more entertainment to enjoy at Punch Bowl Social, where you can enjoy a drink while playing darts, ping pong, marbles, old-school arcade games, bowling and more. Side your brews with a full lineup of sports at Concrete Cowboy. Seeking more fine drinks? Go right to the source, with a trip to vodka-maker Deep Eddy Distillery & Tasting Room, located in nearby Dripping Springs, or sample some delightful wines in the cozy tasting lounge at The Austin Winery, an urban winery located on the East side of Austin. Head to Argus Cidery for sparkling hard ciders made from Texas apples. Exciting Exhibits Do Ho Suh Through 1/11/2015 The Contemporary Austin This architectural installation reveals truths about space, boundaries and displacement. Predicament of Always Through 1/11/2015 The Contemporary Austin This video installation explores language, selfhood and action in an American West setting. Fly Girls of WWII Through 2/1/2015 Bullock Museum Learn about the Women Airforce Service Pilots of World War II. La Belle Through 5/17/2015 Bullock Museum Discover the fascinating story of this 17th century ship that wrecked at sea. Tom Sachs: Boombox Retrospective 1999-2015 1/24/15-4/19/15 The Contemporary Austin Sculptor Tom Sachs will have you looking at the iconic boombox in a whole new way. JJ Peet: Brain to Hand to Object 1/24/15-4/19/15 The Contemporary Austin Described as a kind of "coded, free-form cultural assemblage, a combination of made and found materials that prods and questions dominant systems," Peet&apos;s work is a see-for-yourself. Alice&apos;s Adventures in Wonderland 2/10/15-7/6/15 Harry Ransom Center Celebrate 150 years of Alice with an exhibition for all ages. Witness: Art and Civil Rights in the Sixties 2/15/15-5/10/15 The Blanton Museum of Art View moving artwork from a decade of turmoil, change and struggle for racial equality. Texas Roller Derby, Reflections 3/14/15-7/5/15 Bullock Museum Dig into the fascinating women&apos;s full-contact sport through this exhibit coinciding with the 2015 Austin X Games. Natalie Frank: The Brothers Grimm 7/11/15-11/15/15 The Blanton Museum of Art Natalie Frank unveils the adult side of famous and beloved childhood fairytales.